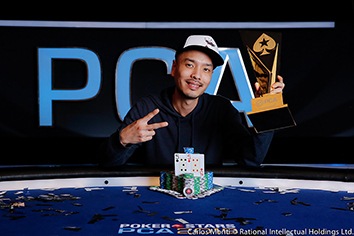 Los Angeles' David "Chino" Rheem reached the pinnacle in the $10,300 PokerStars Caribbean Adventure (PCA) 2019 Main Event, topping a field of 865 players. Rheem claimed the prestigious title along with a mammoth $1,567,100 first-place prize and a coveted trophy. "It’s an honour. I'm very grateful to even just have the opportunity to come here and play and I'm blessed to be able to win it," Rheem said. The 38-year-old professional poker player notched his fifth seven-figure cash of his stellar career in which he has amassed more than $10 million in live tournament winnings. Rheem is a veteran with over a decade of experience on the live felt, grinding mainly on his home soil. His PCA victory marks his first major win outside of the United States. Rheem's road to victory involved a steam-rolling performance at the final table. He started the six-handed final with the largest chip-stack which he would never relinquish. Moreover, Rheem knocked out each of his remaining opponents himself to confirm his sheer dominance. "Things just went my way – that was obviously fun," Rheem said. "You just gotta be lucky, if you’re lucky, you’re good!" Daniel Strelitz faced off against Rheem in a heads-up battle which was heavily lopsided, with Rheem holding a massive chip advantage. Rheem closed things out after his pocket fives held against ace-two in a preflop clash. Runner-up Strelitz took home $951,480. Canadian translator Scott Wellenbach was responsible for one of the most exciting stories of recent months. The 67-year-old from Halifax, who had previously given away his payout from EPT Barcelona Main Event, navigated his way to the podium, having announced that he would again give all his winnings to charity. Wellenbach's remarkable run was halted in third place when he couldn't beat Rheem's ace-ten with king-queen. Wellenbach pulled ahead on the flop but Rheem rivered a straight to eliminate the Buddhist translator in third place for $671,240. Wellenbach's incredible effort has been emphasised by the fact that he earned his seat for just $530, having qualified online at PokerStars. "It's a real roller-coaster of emotions. I'm sure in a few days it will sink in, and I will be happy with the outcome," Wellenbach said. Fourth-place finisher Pavel Veksler settled for $503,440 after losing a race against the eventual champion. Spanish player Vicent Bosca was sent to the rail in fifth place ($396,880) and the first player to leave the six-handed finale was Brian Altman who locked up $297,020.